I have been drinking craft beers for a while now, and have sampled a lot of different styles from a lot different breweries. I could easily give you my favorite five off the top of my head but when someone asks, “What is my favorite beer?” I tell them Troegs Nugget Nectar. It’s just the best damn beer ever! I don’t know what else to say – it is loaded with warrior, tomahawk and nugget hops that hit you in the face with sweet malt that makes the whole thing work in unison. I would say it’s almost out of season but I keep seeing stockpiles in a few of my local spots. Adam, Jared, and I have had our fair share of the brew and aren’t sick of it yet. 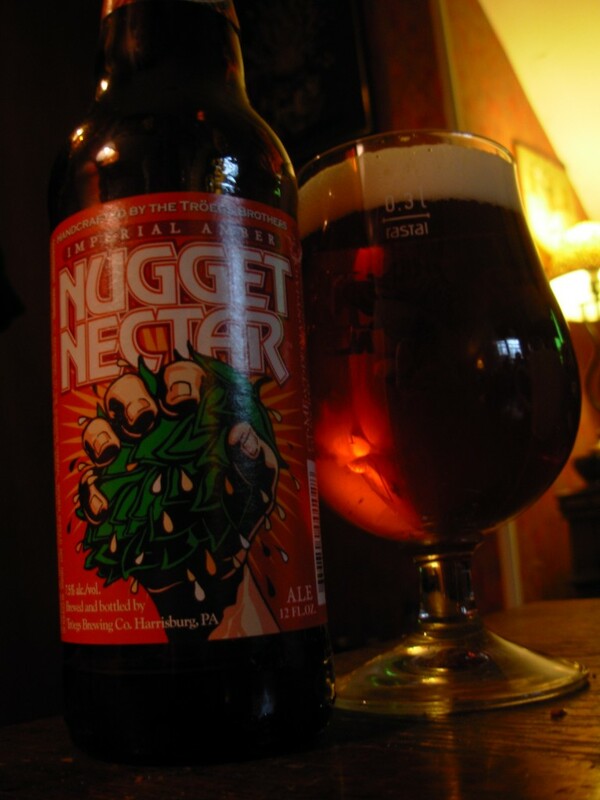 In fact, our Nectar-fueled binge started in late January and has not stopped yet. 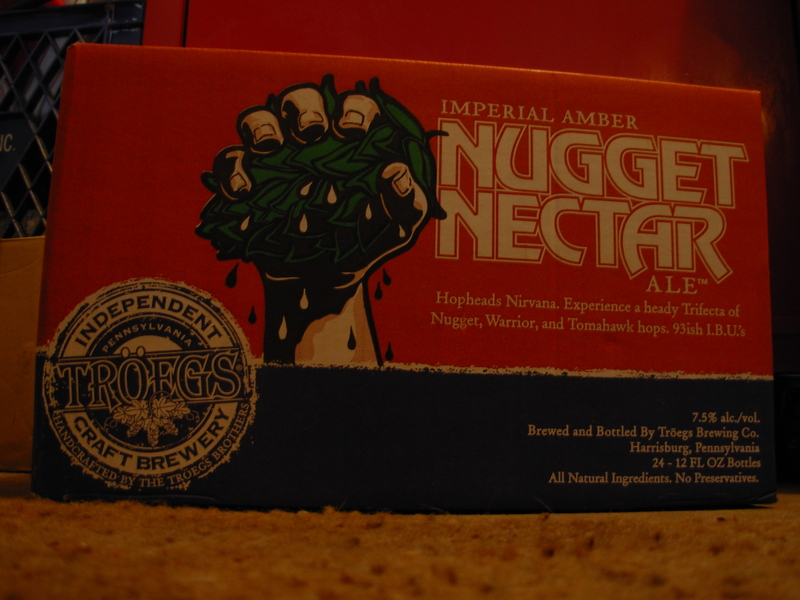 I still have two six-packs left that I haven’t touched but will probably go through them as I write up this spotlight. It all started with a few cases. This is my most recent one. We were able to get our hands on a sixtel of this for Adam’s kegarator. Surprisingly, it lasted longer than expected but we kicked it right before St. Patrick’s Day. It was a sad day. With a stockpile sitting in my basement I couldn’t help but try to apply it in my cooking. 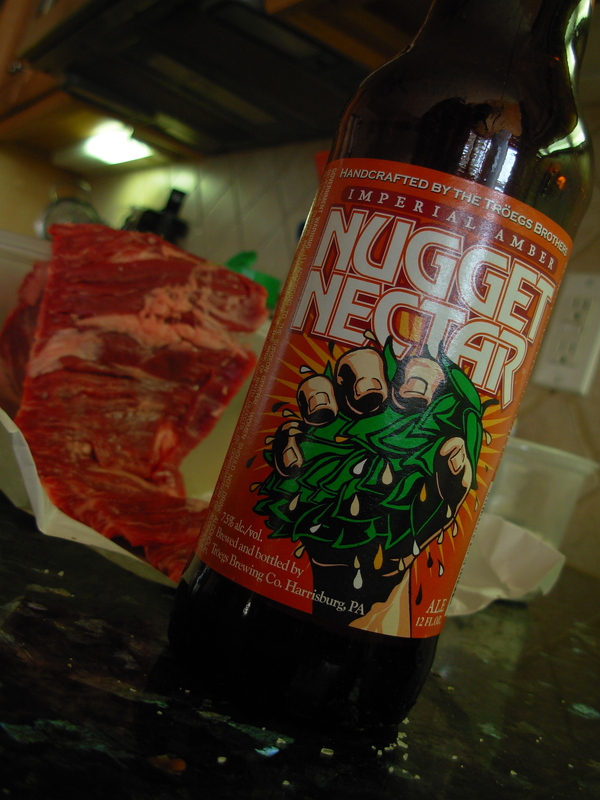 I used it to marinate a skirt steak alongside some fresh spices and paired it with – you guessed it – Nugget Nectar. It came out pretty decent but I think I will try a reduction sauce with it next time. The ABV on this brew is 7.5%. People that have had this will tell you it’s very easy to drink but most certainly not a session beer. Just look at this logo! Doesn’t it intrigue you? 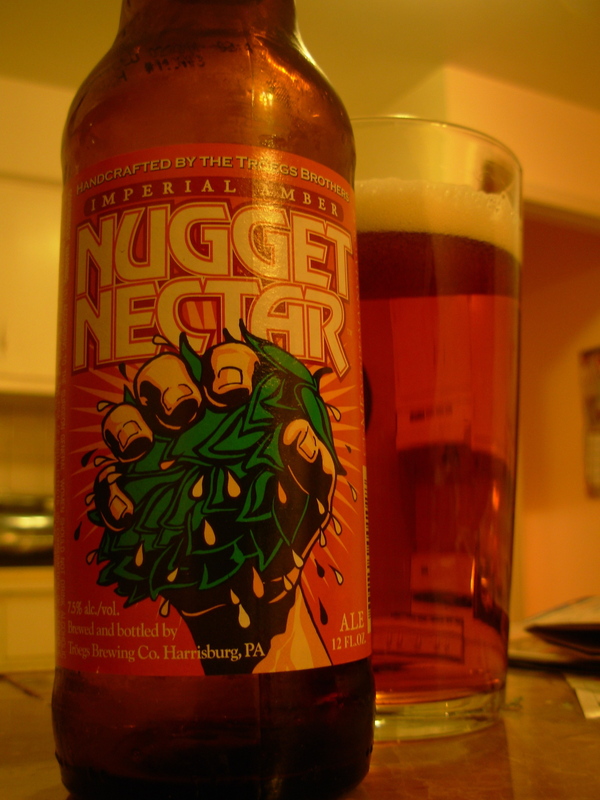 I said it once already but it’s worth repeating – Nugget Nectar is the best beer ever! Whether it’s the hops you’re after or sweet malt I think there is something for everyone in the this fine brew. It’s a shame that this beer is only seasonal and seems somewhat limited. 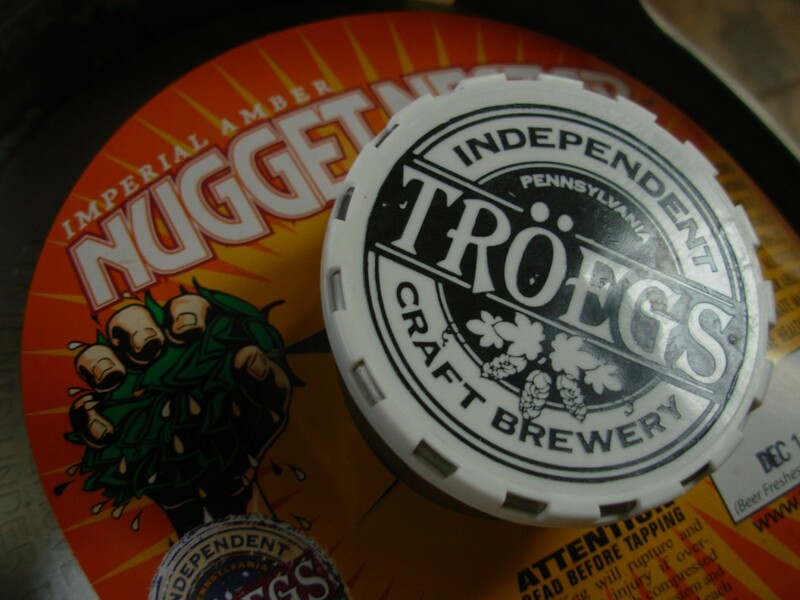 But according to a recent report on Troegs blog , they are expanding their operation which in turn (crossing fingers) means more Nugget Nectar next year. 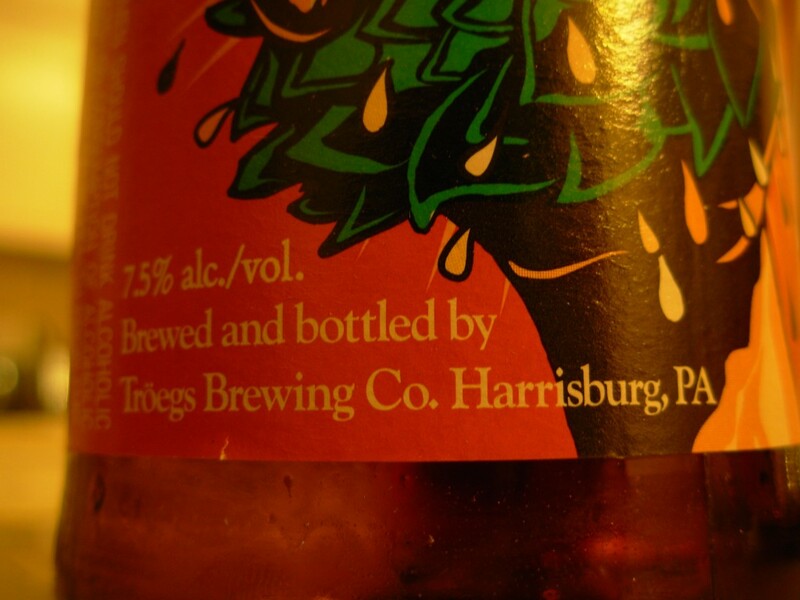 I would like to thank Troegs for making this hoppy amber ale; there is nothing else like it.